My father was the first person I know to purchase a pancake cooker. I was incredulous when I heard, of course: after all, from my perspective, pancakes seem like an exercise in controlled simplicity. Why would someone need to use a special tool to make a dish that pretty much just involves pouring batter into a skillet and then flipping it over once? As you might expect, I was pleasantly surprised when I found out what my father’s tool could do. While he used it to make flawless miniature pancakes, it was even more useful when it came to cooking pierogi, small portions of meat, making eggs, and more. I found myself quickly growing jealous of his little tool as I saw him whip up a multitude of small meals in minutes with a tiny device that didn’t compete with my skillets on the stove. So without further ado, here’s a look at the machines I’d recommend for simple countertop sizzling of pancakes and more. If you’re like me and you prefer to cook pancakes on a larger skillet, I’ll also suggest a handful of tools you can use to make the process even quicker and easier. Just because things seem simple now doesn’t mean that you can’t make your life a little bit nicer by adding an inexpensive pancake press! This (incredibly inexpensive) griddle gives you many options. In addition to making small, perfect pancakes without a stove or skillet, the griddle can make entire meals with ease. The manufacturer suggests grilling sandwiches, searing steaks, frying eggs, and even baking cookies on the miniature heating surface. Of course, it’s not something you NEED. 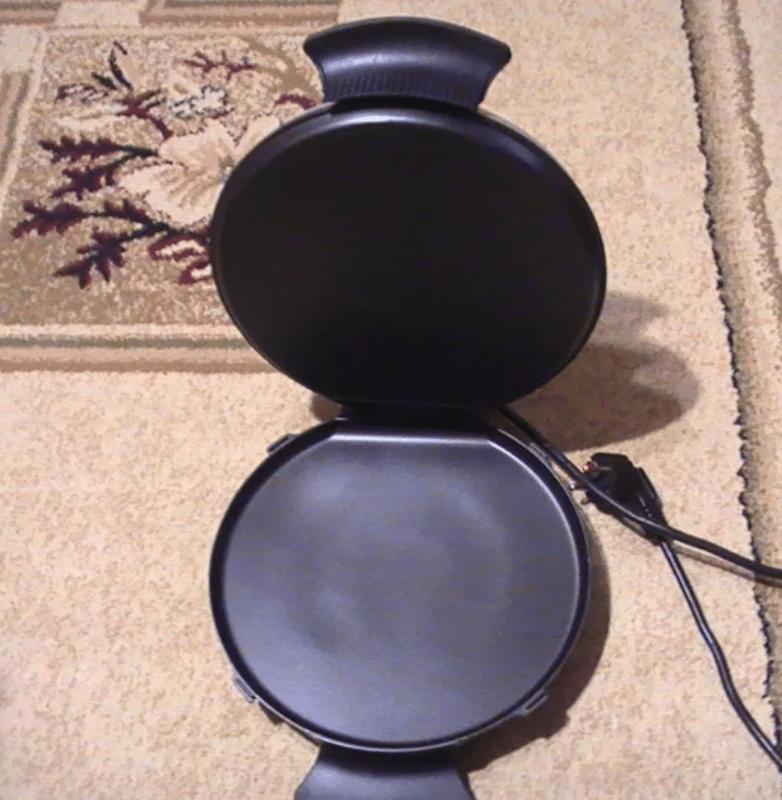 Unless you’re a college student in a small apartment with no other cooking tools or you need something you can plug into a socket on the road, this mini pancake maker will simply serve to augment your stove. You’ll still find yourself using your skillet for cooking meals for more than one person. For one, because it’s crazy cheap. The Dash Mini Maker is less expensive than many non-stick skillets. Considering it comes with built-in heating elements, it’s more than worth the price. Remember, this tool doesn’t take up any space on your stove. I find that it’s a perfect tool to use for toasting spices or roasting peppers before I add them to my main pot or pan. As far as functionality goes, this electric pancake maker has everything you’d expect from a no-frills non-stick hot plate. It’s got two PFOA-free non-stick cooking surfaces that are connected by a hinge. The top surface helps you cook food from both sides at once, cutting your cook times in half. While it doesn’t have adjustable heat levels, that’s totally fine – the “default” setting is about where “medium” on your stove is, making it ideal for most recipes. The lack of removable heating plates is always a bit of a bummer on pancake making machines like this, but it’s not a huge deal. The non-stick coating on this unit is wonderful. It ensures that you can simply wipe off the plates with a sponge when you’re done cooking. You should wait for them to cool, however, as they get quite hot. As far as other downsides go, the biggest one is the size. This unit is about the size of a single English muffin. This means you’re not going to be cooking anything other than a small pancake. If you’re looking for a kids pancake maker that produces pint-sized pancakes, it’s a good choice. If you want adult-sized pancakes, you’ll want to use a frying pan. Overall, however, this machine is probably the best pancake maker you can find. It’s a multi-purpose portable cooker that can toast muffins, grill sandwiches, and even make small meals. For people in small kitchens, people who want an additional cooking station that they can use while they use their range, or people who just want a pancake maker that’s cheaper than a skillet, this is a wonderful purchase. While this crepe machine is a far cry from a double pancake maker, it’s a pretty nifty tool that’s incredibly handy when you want to make a lazy breakfast. 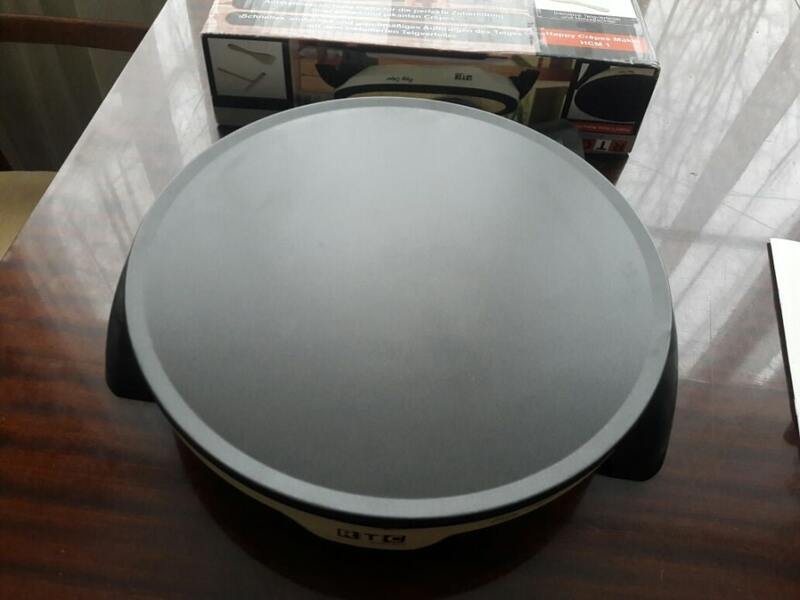 It consists of a simple, round electric griddle with 5 power settings and a non-stick surface that can be effortlessly wiped clean. Unlike the Dash Mini Maker above, this unit has 12” of diameter, allowing you to make plate sized pancakes (or crepes) in mere moments. Bigger isn’t always better, of course. In this case, however, the addition of 5 power levels makes this electric skillet much more useful in the kitchen. Instead of having a single variable (time) to modulate, you get the ability to play with temperature. This is absolutely vital for crepes, which prefer slightly longer cook times on slightly lower heat. It’s also great if you’re one of those people that likes making fancy artistic pancakes, since the lower heat won’t burn your pancake and ruin the perfect look. The lack of an additional heating element means that you have to flip your pancakes, although you sometimes will find yourself flipping things in the Dash anyway. It’s still easier than using a skillet, since you can come at the pancake flat from the side without the walls of your pan getting in the way. Plus, you get more total cooking area by most measurements. In other words, this griddle is bigger than the two small plates of the Dash laid side by side … by a lot. This means that the unit itself is bigger. In a full sized kitchen, this is certainly a plus. In a cramped city apartment or college dorm, it might be a minus. In situations where counter space is vital, the Dash will give you a lot more flexibility than this full sized unit. Finally, this crepe griddle is a lot more expensive than the Dash. I personally think that the extra size and extra control more than justify this, but your budget might vary. The Dash is cheaper than picking up an inexpensive skillet. This crepe pan is not. 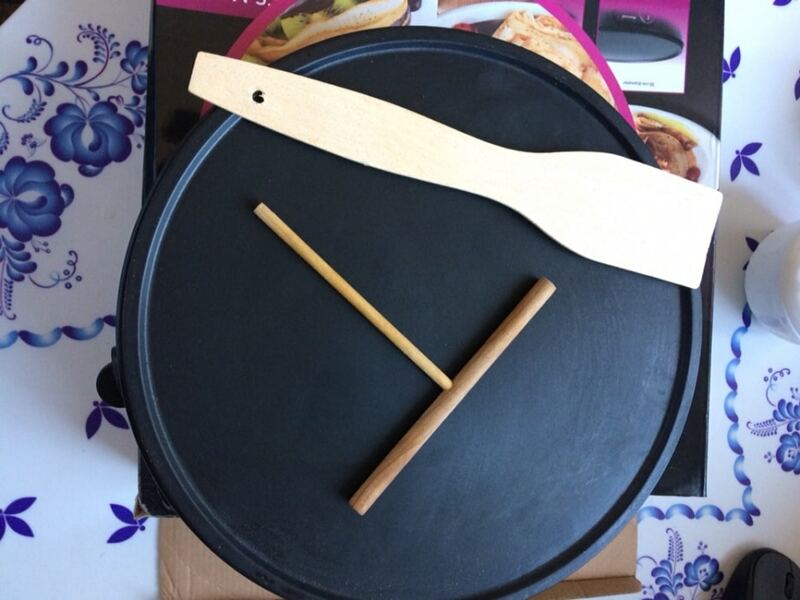 One extra thing to note: CucinaPro has helpfully bundled this with a tool called a “crepe spreader.” This is pretty much just a wooden “T” that you can use to move dough around without disturbing it too much. Crepe spreaders can be pretty expensive, so this thoughtful inclusion might wind up saving you a few bucks. Overall, I think that the Cucina Crepe Maker is a solid upgrade to the Dash Mini Maker in most relevant ways. If you want an extra place to make pancakes, sear meat, toast spices, or char peppers, this griddle is a good option for you. It’s bigger, it gives you more control, and it’s got a fantastically effective heating element and an easy-to-clean non-stick exterior. As long as you have room for this device on your counter and in your budget, I think it’s worth considering over the Dash. If you want a Dutch pancake maker, this multi-tool is by far the best option for home use. Large, several hundred dollar commercial units exist that will absolutely blow it out of the water, but none of these units is small, affordable, or convenient for a home kitchen. The Cucina Pro Multi Baker, by contrast, offers multiple removable grill plates and an appropriately sized package that easily fits on top of your counter. One of the biggest downsides to several of the units above is the fact that the grill plates are permanently affixed to the heating element. The non-stick coating makes these plates easy to clean, of course, but it’s still difficult to clean up serious spills with a sponge or a roll of paper towels. The Multi Baker Deluxe solves this problem by allowing you to plunge the non-stick cooking surface in the sink while leaving the heating element safely behind. 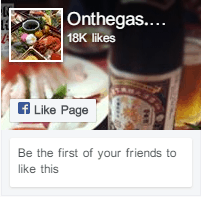 This feature isn’t necessarily there for your convenience. 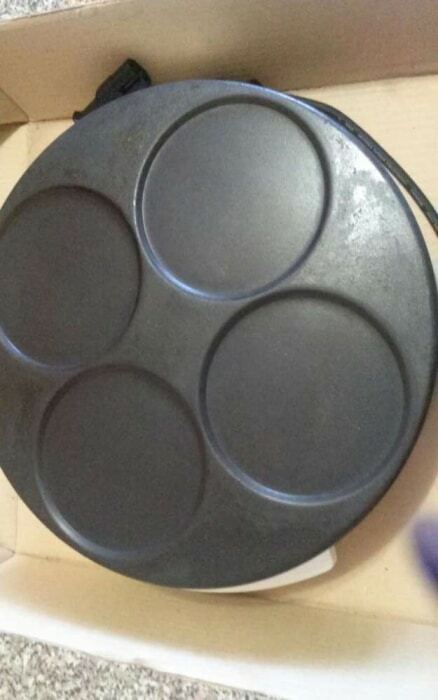 Instead, it’s a necessary side effect of the fact that this baking tool comes with 3 different styles of skillet. You can choose between a sort of muffin, cake, or pancake pan, a flat skillet, or a pan with multiple round indentations for Dutch style pancakes. 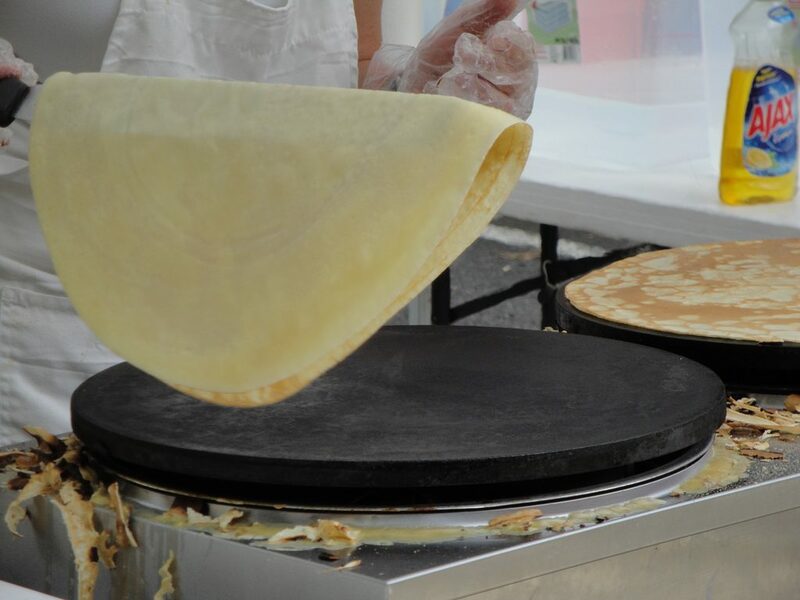 The guts of this unit easily compete with high-end competitors like the crepe maker above. Adjustable heat settings ensure that you won’t burn your food accidentally, while the high max temperature enables you to sear meats in no time. 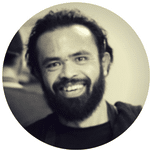 I’ve spent a lot of time talking about how the other options on this page are brilliant multi-tools that you can use to make entire meals. This Multi Baker is no different. With a bit of creativity, you can even cook some pretty interesting foods in the textured baking surfaces. This might include pirogues or other savory dumplings, small sandwiches, complex vegetable arrangements, or anything else you think of while you’re in the kitchen. I think that this pancake maker slightly edges out the Crepe maker above, but only by a little. It’s occasionally much more expensive online, so be sure to look out for a sale. 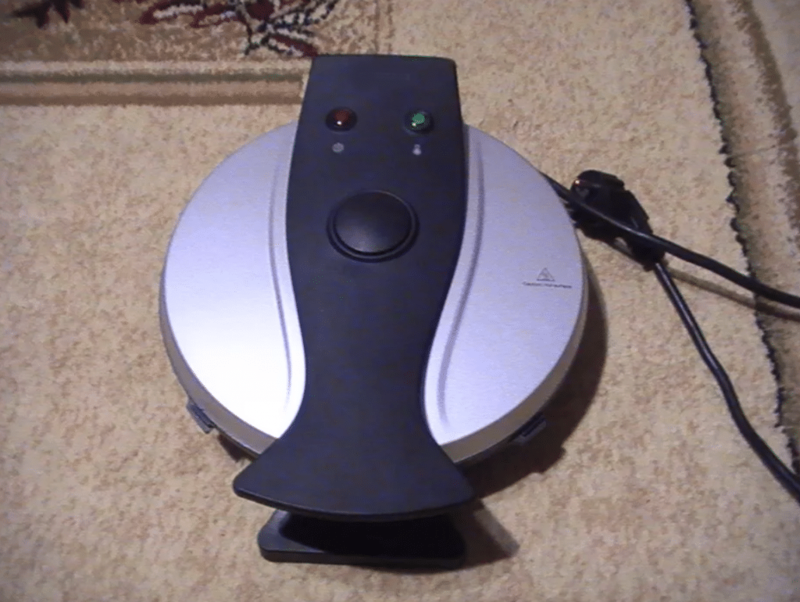 If the price is comparable, this fully-featured three-skillet cooker is the better option, but if the crepe maker is several times less expensive this pancake cooker might not be worth the upgrade. The Flippin Pancake Maker claims to be a plastic mold that limits your pancakes to the perfect size. When you’re ready to flip, simply lift the pancakes via the mold and turn them over. The problem with this device is that it simply doesn’t work. The pancakes stick. Batter simply doesn’t work the way the makers of this device claim. You’ll wind up making a mess and getting pancake parts all over your kitchen. It’s also awkwardly expensive for a tool that does very little. If you really want shaped pancakes, buy some metal cookie cutters instead. They’re less expensive, they’re not made of cheap plastic, and you can use them for other things, too. Good options include this set with lots of shapes for an incredibly low price. You might not need a pancake press on a commercial-sized double pancake maker. At home, however, these tools are a solid addition to your kitchen. While you could use the flat metal disk on this tool to compress pancakes, spread out crepes, or otherwise assist in the manufacture of your breakfast, they’re primarily used in a variety of Asian recipes that require a disk-like utensil. 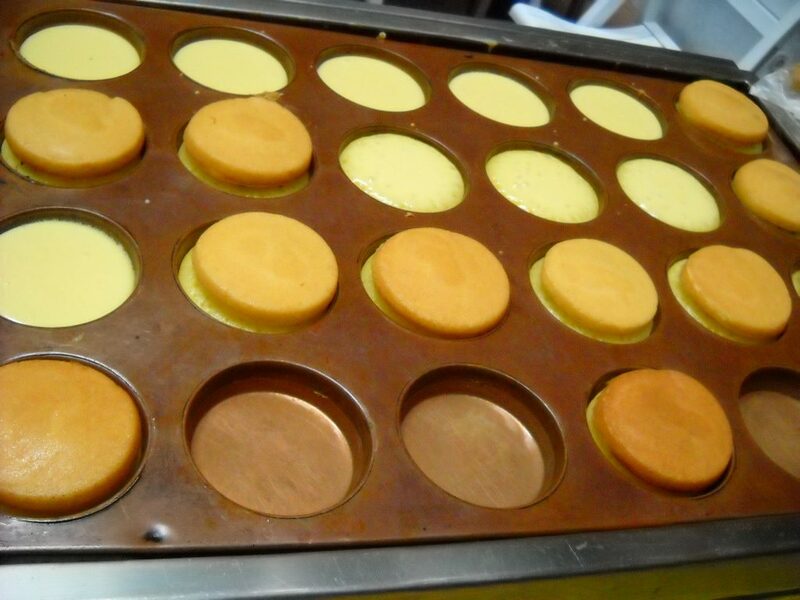 This pancake press is one of the best in terms of cost, durability, and comfort. It’s more than strong enough to bear down on a hotteok or stuffed pancake when you need to flatten them out. 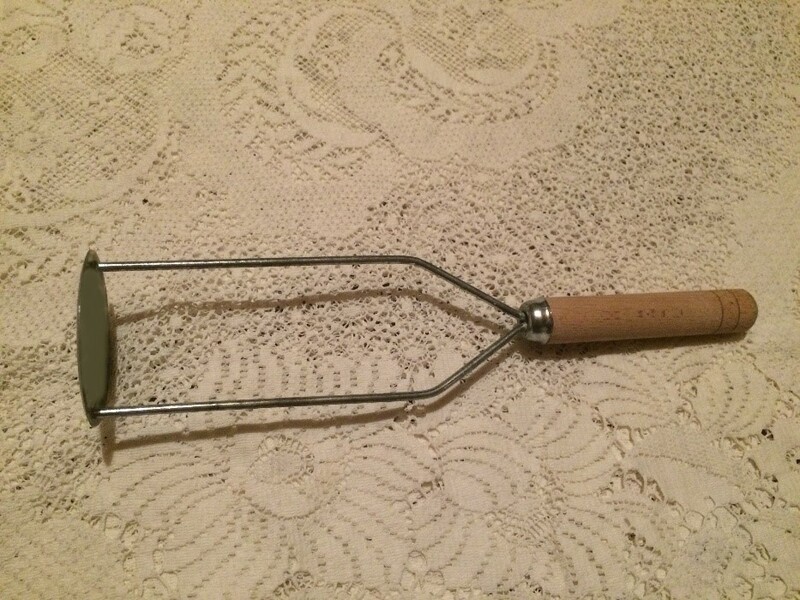 For western-style pancakes, this tool is somewhat unnecessary. If you’re cooking pancakes from other regions, however, you’ll love how much easier things get when you have a truly round spatula like this one. You’ll be able to easily apply firm, even pressure to the entirety of your cake. When it comes to presenting attractive hotteok, this simple upgrade will work wonders. 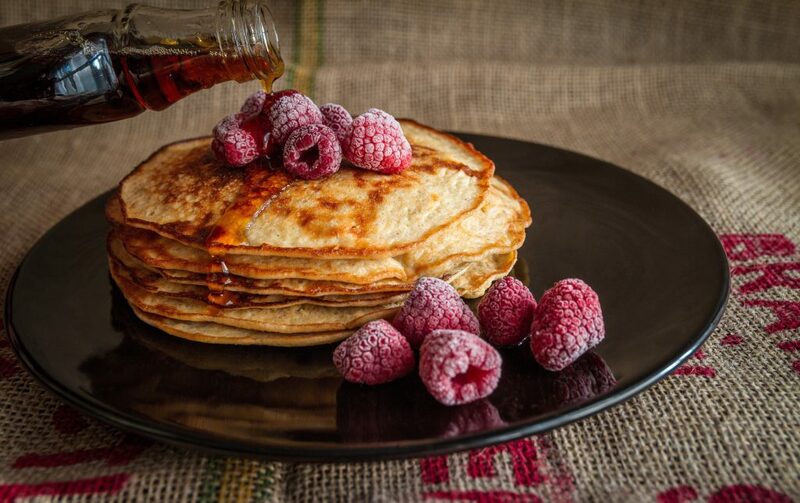 Whether you’d like to make the most out of your new pancake machine or you’d just like to jazz up your traditional pancake recipe, here are a few tips that will help you produce consistent, delicious pancakes day after day. Gluten is a bit of a buzzword these days, but it’s been a word that bakers have used for a long, long time. When you stir pancake batter, it develops the gluten in the batter and changes what should be a fluffy pancake into something tough or chewy. To avoid this, simply stir the batter as little as possible. Bakers like to gather their dry ingredients into a mound and then make a large hole that they can pour the liquid into. This helps the ingredients combine with as little stirring as possible, keeping the gluten inactive. As you might imagine, letting the gluten rest involves one extra step: stop stirring as soon as you can. You’ll usually want to stir out any white floury streaks. Lumps, on the other hand, are totally okay. The internet is full of helpful advice when it comes to substitutions. While these ideas can work in a pinch, be careful of using a modified or substituted recipe as your go-to. Your batter should have plenty of sugar in order to keep the pancakes sweet, for example, and you should definitely avoid using any buttermilk substitute unless you think it actually makes your pancakes taste better. If vinegar or yogurt or whatever you’re using to make the pancakes a bit more sour doesn’t taste right to you, stop using it. I think almost everyone puts a dab of butter or a dollop of oil on their skillet before they put pancakes down the first time, but what about the second batch? Having a lightly lubricated cooking surface helps with flavor, heat transfer, and makes your pancakes less likely to stick. Be sure to refresh your thin coating of cooking fat every once in a while as you cook your batch. There’s nothing more disappointing than cooking a stack of pancakes and then realizing you’re out of maple syrup. 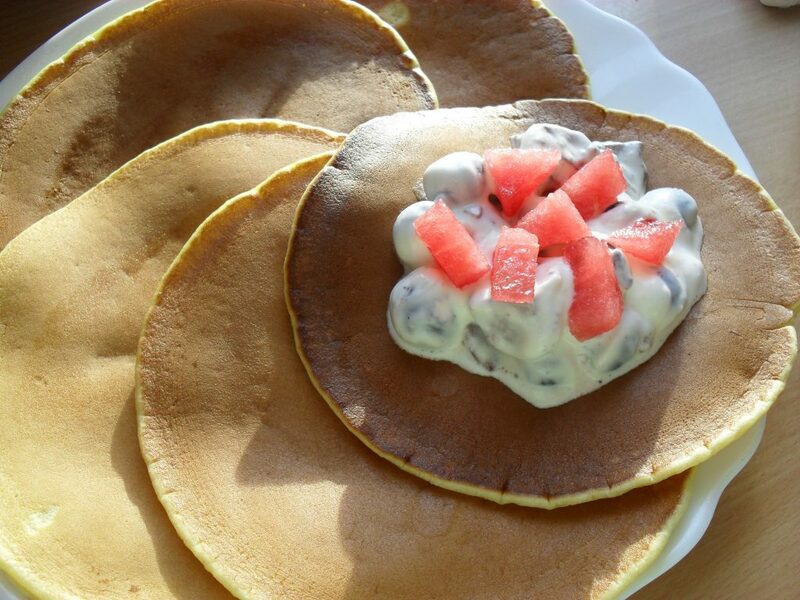 Traditional toppings include butter and maple syrup, but you might also enjoy including jam, jelly, whipped cream, fruit, or just about anything else that you think goes well with your pancakes. 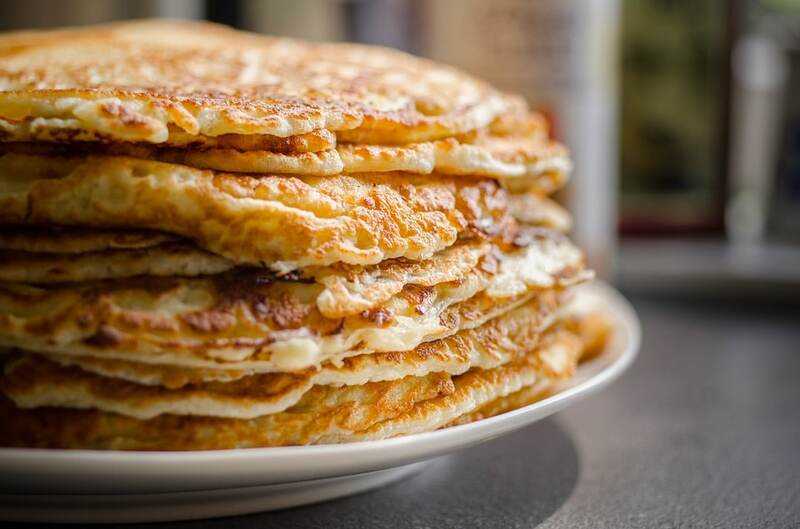 A number of other cultures have savory pancakes that are every bit as delicious as their sweet counterparts. Consider trying unconventional toppings too! If your pancakes are sticking, chances are that you tried to flip them too early. Wait until the sides of the pancakes have slightly darkened and the bubbles in the top are beginning to pop. With a bit of practice, you’ll be able to guess exactly how browned the lower part of a pancake is by simply watching the batter. If you’re a big fan of pancakes, you’ll appreciate having a dedicated cooking tool that you can use without taking up any stove space or dirtying a skillet. The many tools above all can be used to produce incredible pancakes in short amounts of time. Whether you want a tiny, inexpensive griddle that’s perfect for making meals for one, a multi-purpose griddle that can make both normal and Dutch pancakes, or even a flat-topped crepe machine that gives you lots of flexibility when it comes to flat breakfast foods, one of our recommendations is right for you. You’ll be making all sorts of neat meals in no time!